Join us on one of our favorite charters! Venturing far offshore is always a gamble with the potential for a huge payout. Opportunities abound to see whales, dolphins, manta rays, big fish and sharks. These are just a few of the potential encounters you can experience during the Extreme Blue Water Snorkeling. Perfect for the adventuring thrill seeker. 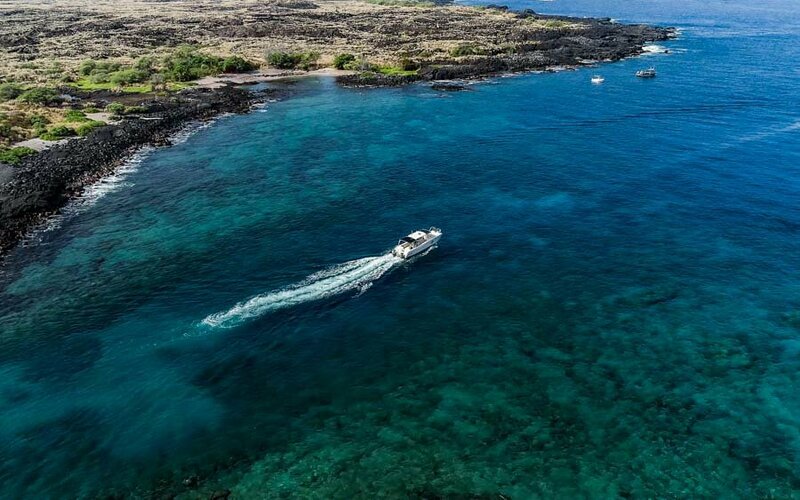 Hop aboard our premium fast boat, the Honu Lele, for a smooth ride out in the deep blue. Geared toward people that want to see or photograph pelagic animals that are often times larger than you!